We would say that the 2014 Grammys mark the one time this year that the music industry's most beloved and controversial stars get awarded for penning Top 40 hits, but, then again, there's the Billboard Music Awards, the MTV Video Music Awards, the American Music Awards, the Country Music Awards, the American Country Awards, and the American Country Billboard Video Awards. Okay, so that last one is made up, but you get the gist: We live in a country that loves recognizing Auto-Tuned singers. Or, at least, mostly Auto-Tuned singers. Along with mainstay nominees like Katy Perry and Taylor Swift are some legitimate talent, like Pink, Macklemore & Ryan Lewis, and Lorde, the 17-year-old talent who was noticeably snubbed in the Best New Artist category, but won Song of the Year and Best Pop Solo Performance. (As for who picked up Best New Artist? Macklemore & Ryan Lewis surprised no one with their victory.) But it proved to be a stellar night for Daft Punk, who not only won Best Pop Duo/Group, but also the coveted Album of the Year and Record of the Year, besting (you got it) Lorde. But which will pick up statues tonight? We will be watching the awards alongside you, and updating the winner's list live. 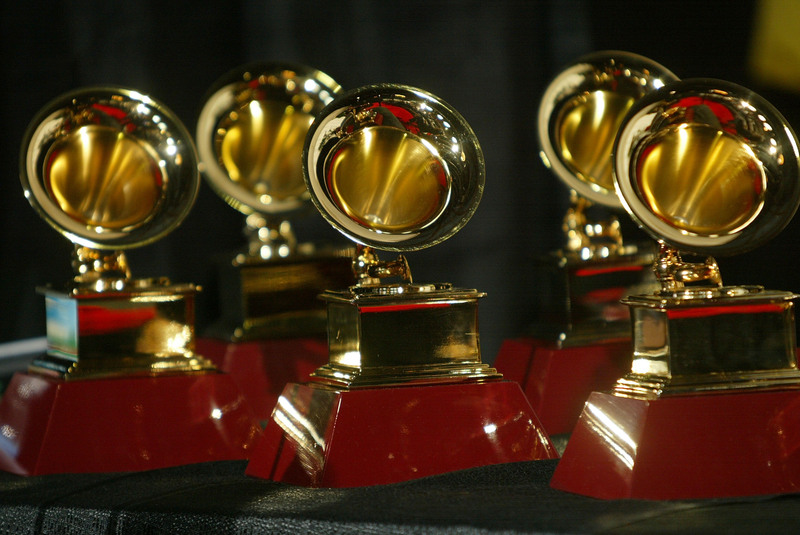 So check back here tonight to see which artists can add to their already busy trophy shelves, and click here to check out all of Bustle's coverage of the 2014 Grammys! J. Cole, Featuring Miguel, "Power Trip"Jay Z, Featuring Beyoncé, "Part II (On the Run)"WINNER: Jay Z, Featuring Justin Timberlake, "Holy Grail"Kendrick Lamar, Featuring Mary J. Blige, "Now or Never"Wiz Khalifa, Featuring The Weeknd, "Remember You"
Gary Clark Jr., "Ain't Messin 'Round"WINNER: Dave Grohl, Paul McCartney, Krist Novoselic, Pat Smear, "Cut Me Some Slack"The Rolling Stones, "Doom and Gloom"Black Sabbath, "God Is Dead? "Muse, "Panic Station"
WINNER: Justin Timberlake, "Pusher Love Girl"Anthony Hamilton, "Best of Me"Tamar Braxton, “Love and War”PJ Morton, "Only One"Fantasia Featuring Kelly Rowland & Missy Elliott, "Without Me"
See the rest of the winners on Grammys.com. Click here for more coverage of the 2014 Grammys on Bustle.